Need help finding your Polly? Search our site! Polly Pocket is owned, patented, trademarked and copyrighted by Bluebird Toys, Ltd., Origin Products, Ltd., Mattel, Inc. and Mattel U.K. Limited. Nothing on this site is intended to infringe on those rights nor is this site affiliated in any manner with those companies. 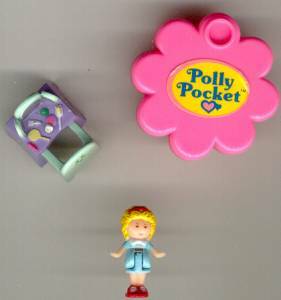 Please be advised that Polly Pocket toys contain small pieces and may not be appropriate for small children.